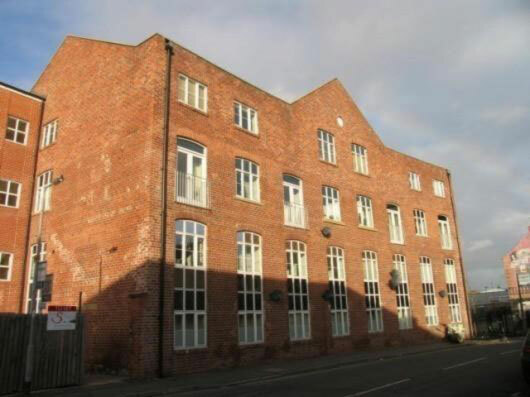 This Victorian warehouse conversion most certainly stands out in Leeds sleepy Mabgate. With its enormous windows and glass-fronted Juliette style balconies Mertensia House brings a kind of Neo-Gothic splendour to the eastern edge of the city s Northern Quarter Of course Mertensia House is not the type of development that can provide high tech facilities but it is still very comfortable place to live. There are some lovely large rooms in its one or two bedroom apartments and it is certainly a peaceful part of town. Then you have the monetary side of things to consider and this is another of Mertensia House s strengths. Okay so it may not be the plushest apartment block in Leeds but it definitely offers very good value for money. All in all this property is worth some serious consideration. With its spacious rooms quiet setting and fifteen minute walk from town; it has got some very valuable qualities.